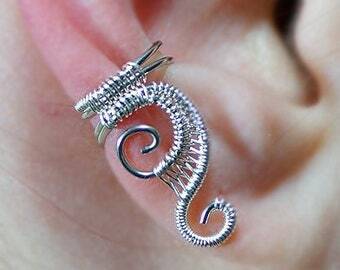 Get the look of two ear cuffs, in only one ear cuff. 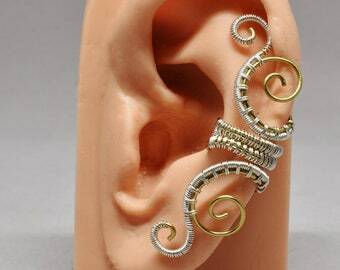 You can wear this ear cuff with the curved edge showing inside the ear so people can tell it's an ear cuff, or with the "open" edge on the inside of the ear to make it look like you are wearing two separate hoop earrings. The total width of the two bands together is approximately 5mm wide. 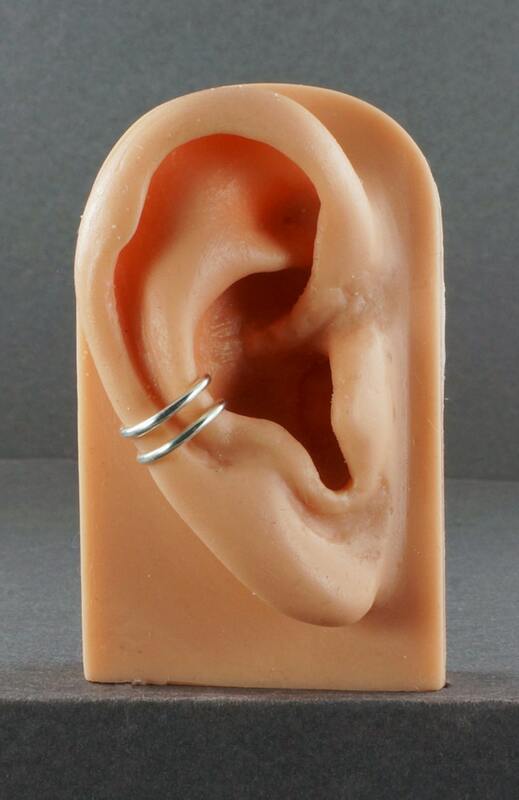 These ear cuffs are made with 16g (1.3mm thick) wire. This size allows the ear cuff to be sturdy enough to hold it's shape, but just pliable enough to adjust the fit. 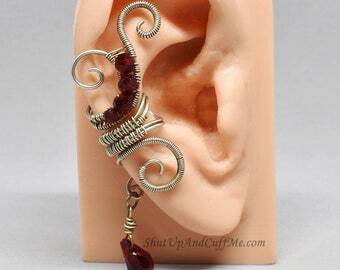 This ear cuff will be made to order. Because of the nature of handmade items, slight variances between pieces is to be expected. All orders will only ship to the address provided to etsy during checkout. Please make sure you have entered the correct address at the time of purchase. Shipping addresses cannot be edited after purchase is complete. Very simple! Love the classy elegance to it. Thank you so much! LOVE LOVE LOVE!! I might get a back up in case I lose this.